After moving to Rochester with her two young children in 2002, Syreeta's home was robbed three times. Syreeta had to secure the window herself when her landlord refused to make repairs. Syreeta suffered another blow when she got word her sister was gravely ill in a New York City hospital. Using the only money she had, Syreeta managed to visit her sister before she died. When Syreeta returned to Rochester, she discovered she'd lost all of her furniture and her apartment. Syreeta and her two sons were forced to move into a homeless shelter infested with bed bugs. She knew her living circumstances had to change. A friend referred Syreeta to Emergency Family Services at Baden Street Settlement House. Baden Street placed Syreeta in a comfortable hotel and quickly found her permanent housing. The Baden Street staff wanted to make sure Syreeta's succeeded. They focused on building a long term relationship with her, and even offered her rides to work each morning. Baden Street's executive director visited her at home and gave her a gift card. Though the tough times are behind her, there are times when Syreeta still connects with the settlement house for support. “My relationship with Baden Street means so much to me,” Syreeta says. After losing everything she owned to a Thanksgiving house fire, Shelly Folwell and her three young children were homeless. Three weeks later Shelly's father died. Shelly was depressed and desperate. After seeing a television news story about her plight, Charles Settlement House contacted Shelly. Charles Settlement House secured the deposit for her new home and provided bedroom furniture for each of her children. With Christmas approaching, Charles Settlement House also arranged a special car ride for Shelly’s children to a toy store. Even Santa went along! The children received new bikes and donated gift cards. 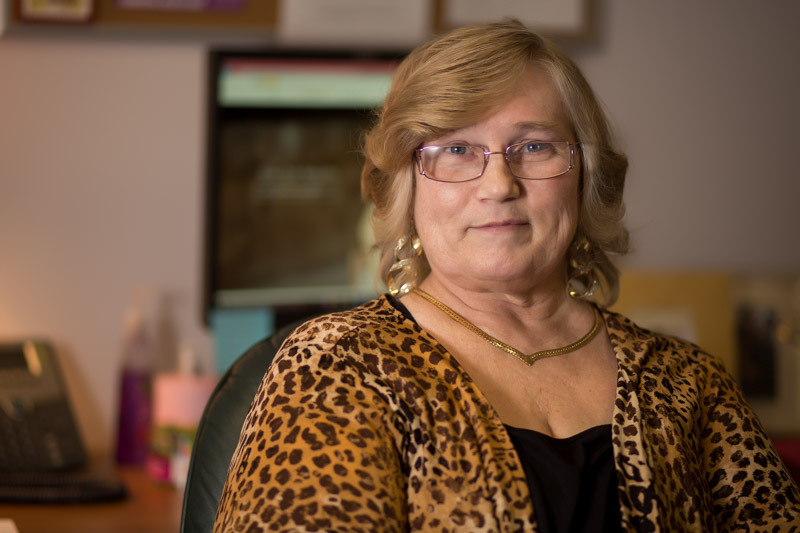 Charles Settlement House became a part of Shelly's life. She's a participant in the aging program offered daily by the Charles Settlement House. She gets a well-balanced breakfast and lunch at the senior center, through a program coordinated by Foodlink. "Aging services give me an opportunity to have lots of socialization with other seniors," Shelly said. Through the senior center, Shelly enjoys trips to the theater, sporting events, and shopping malls. Seniors enrolled in the aging program are encouraged to purchase fresh vegetables and fruit at the mobile food truck which sets up a rolling market on campus twice per week. There's also a fitness and exercise program. Shelly and other participants of the aging program have access to trained staff on medical, dental, health, housing, transportation and emergency services. Sky’s the Limit, a program offered by the Community Place of Greater Rochester, has become an intricate part of the lives of twins Alex and Alexis Calloway. They were born two months prematurely and were diagnosed with developmental disabilities. “Sky’s the Limit has been a godsend," said Minnie Cox, the twins' aunt and guardian. She said the staff is like a second family. The program also gives Minnie time to relax and gear up for the next day’s obstacles. Sky’s the Limit fosters social skills. Alexis, who has a speech impediment, said the program has helped her blossom. Alex describes the program as a place that encourages respect for differences. Alex and Alexis attend the program Monday through Friday. They receive homework help, dinner and a bus ride home. Through Sky's the Limit, the twins have enjoyed a trip to Syracuse, hiking in Canandaigua and an annual overnight camp. Sky's the Limit is preparing Alex and Alexis for the workforce. Alex recently started a part-time job.